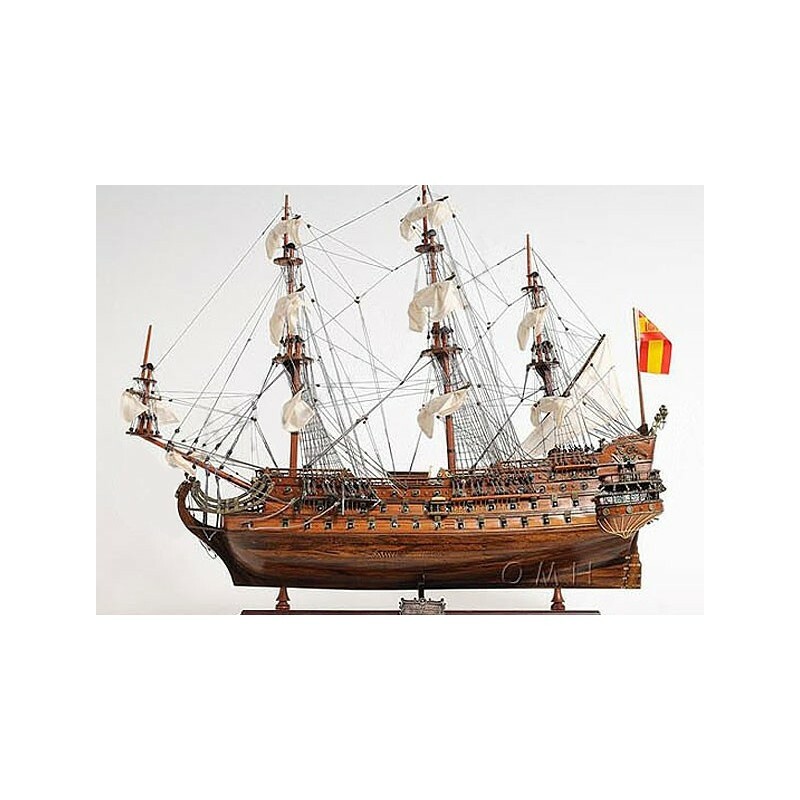 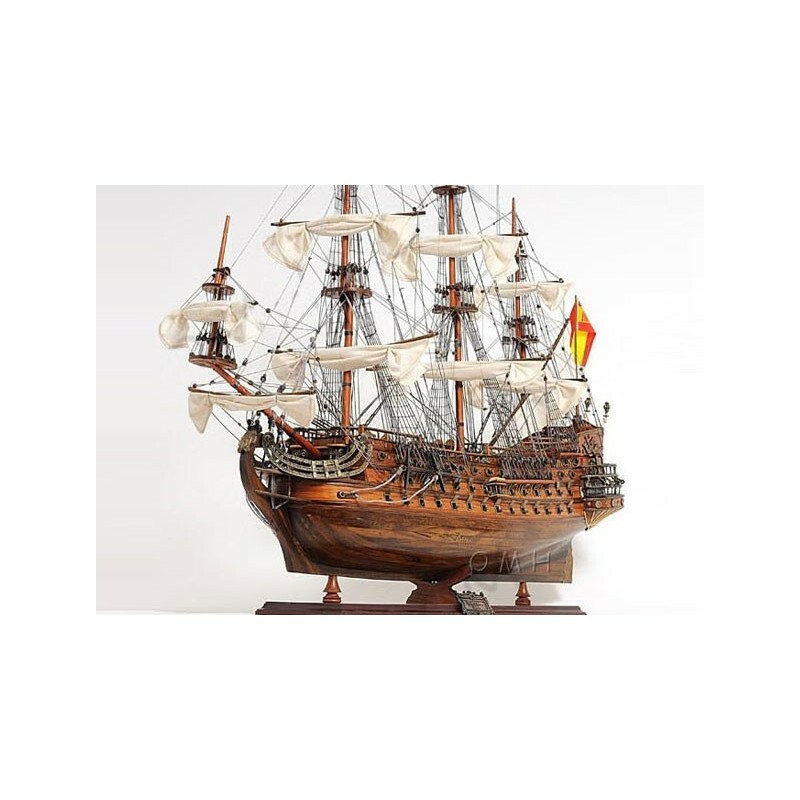 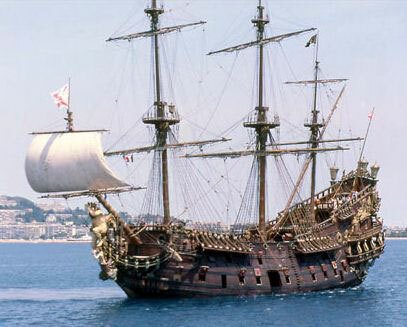 The San Felipe (1690) was one of the most beautiful Spanish galleons of the 17th century and the Armada's lead ship against the British and French navies. 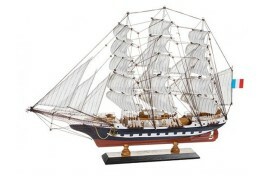 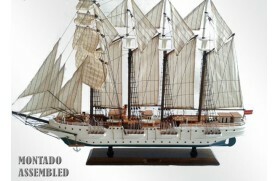 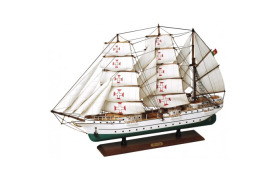 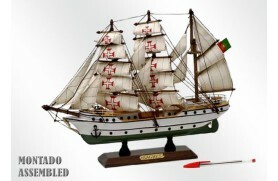 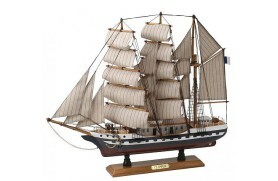 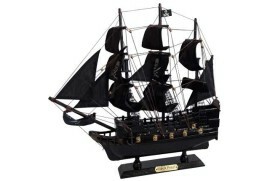 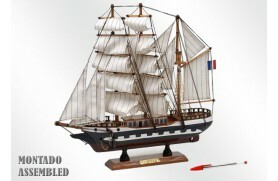 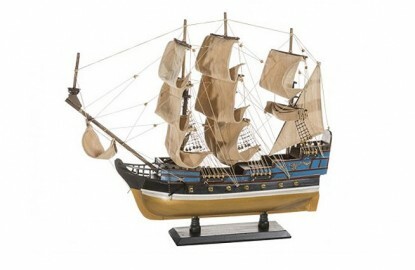 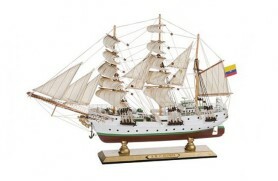 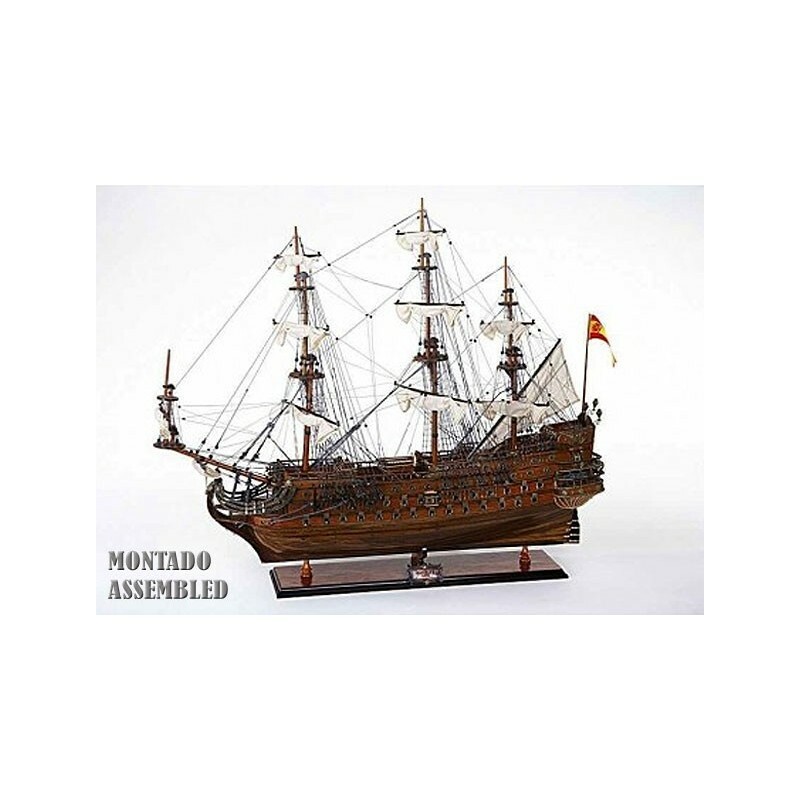 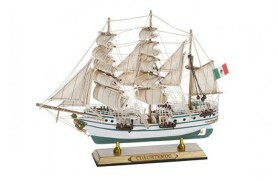 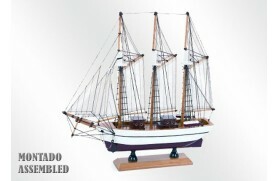 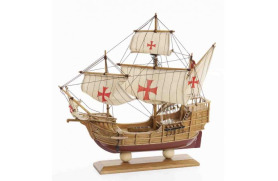 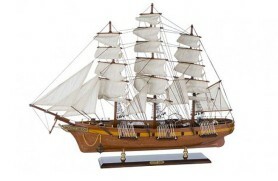 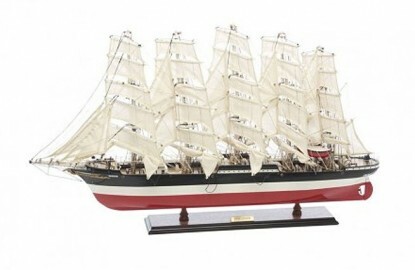 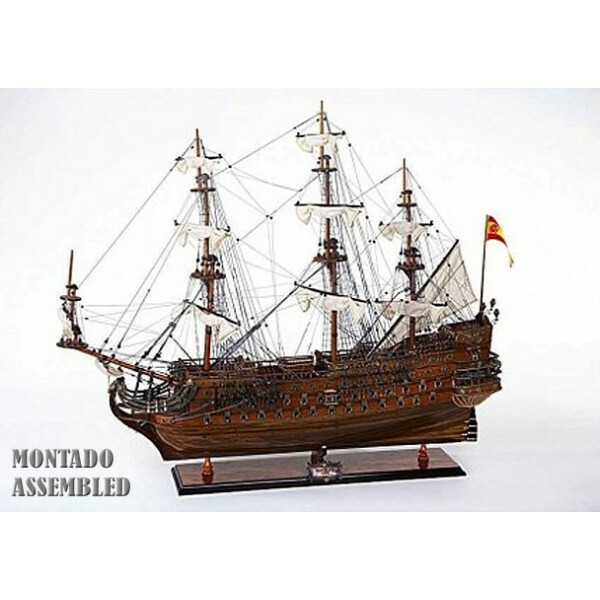 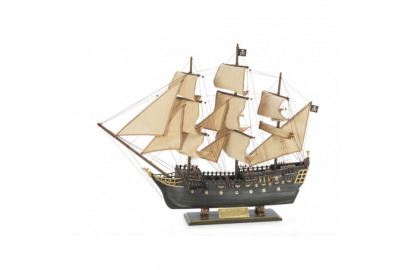 Decorative Model with high quality finishes wooden made, painted and fully assembled handcrafted. 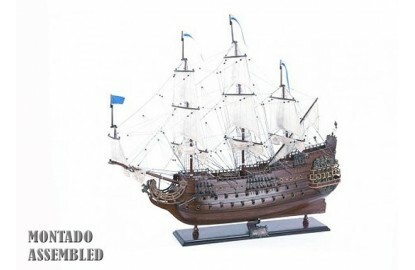 The San Felipe (1690) was one of the most beautiful Spanish galleons of the 17th century and the Armada's lead ship against the British and French navies. 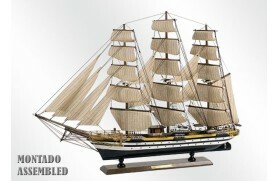 Although one of the first 3-deckers and armed with 100 guns, she was elegantly designed. 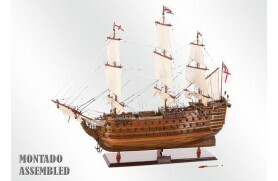 She was damaged in 1744 during a battle with Bristish ships and towed to Cartagena. 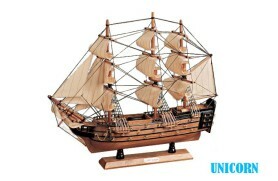 Decoration model in wood with high quality finishes, varnished and fully assembled by hand. 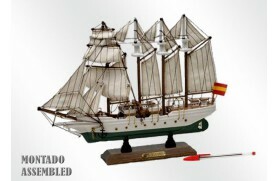 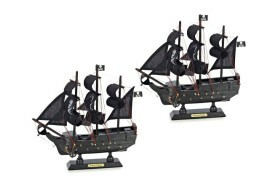 Packaging: Assembled boat supplied individually boxed.